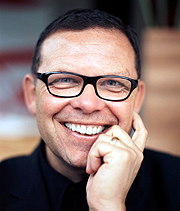 STOCKPORT, UK - July 31, 2006: Kia Motors Corporation has appointed leading automotive industry designer Peter Schreyer, the man behind the New Beetle and the Audi TT, to the newly created position of Chief Design Officer. Mr Schreyer’s appointment will add to Kia’s significantly increasing emphasis on automobile design and support the ongoing regeneration of its model range. Schreyer, 53, takes up his new role on 1 September and will oversee Kia’s domestic and international design functions. He will be responsible for implementing the company’s design vision in line with its brand values that target a young-at-heart and adventurous target customer base. Euisun Chung, President and CEO of Kia Motors Corporation, said: “As we continue to develop the Kia brand across all key regional markets, we must continually enhance our range of vehicles through world class, innovative advances in product design. This appointment underlines our commitment to meeting and exceeding customer expectations by accurately reflecting modern aesthetics and regional and cultural sensibilities. "Mr Schreyer's track record over many years in the automotive sector speaks for itself and we are looking forward to working with him to lay out a long-term strategy that will centre on moulding a unique and consistent design lineage for the entire future Kia lineup. We are focused on boosting our competitiveness on the world stage by dramatically enhancing the design element of our vehicle lineup while adding a strong emotional dimension to the brand," he added. Schreyer will oversee the design activities of the company's regional design centres in Frankfurt, Los Angeles and Tokyo as well as the company's flagship Namyang Design Center in Korea. Schreyer will not only be responsible for the design of the entire range of Kia models, but will also play a significant role in advancing the company’s worldwide brand footprint. Schreyer’s central task will be to mould the future face of the brand and models from the same clay. He commented: “Good design not only transmits clear messages through the products, but also solidifies the company's brand positioning and overall company image. “I’m looking forward to an unbelievably exciting and many-faceted task ahead of me. 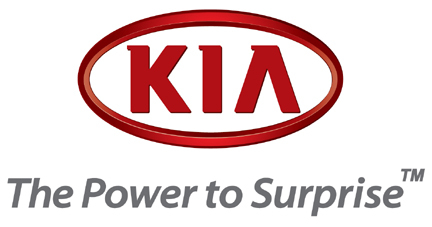 Kia already has a reputation for successful and reliable products with solid designs and an outstanding price-performance ratio. That brings a payback from customers. While others are treading water, Kia is making tremendous headway,” he added. Schreyer is scheduled to make his first address in his new capacity at the Paris Motor Show in late September, when he will present the key elements of the new Kia design strategy for the first time. Kia’s first ever vehicle to be produced in Europe specifically for European customers – a five door family hatchback codenamed ‘ED’ – will also make its world premiere at the event. The new appointment is the latest stage in a highly successful career that has seen Schreyer become one of the automotive industry’s most respected authorities on product design. As Audi’s chief designer between 1994 and 2002, he was credited with revamping the Audi brand with a number of revolutionary new auto designs. From 2002 to 2005, he was the chief designer for Volkswagen and since 2005 has been the head of advanced design for the Volkswagen group, earning critical acclaim for several crucial product launches, featuring a range of unique design concepts . His outstanding creative work has led to many national and international awards, including the Design Award of the Federal Republic of Germany and the world famous red dot award. He has also won the German National Design Award several times for helping to propel the German auto industry in new directions with his sporty and innovative designs.